Marshall University’s Weisberg Division of Computer Science will offer a new Bachelor of Science degree program in computer and information security beginning in the fall semester of 2018. The program is in response to industry demand for trained cybersecurity professionals, and for Marshall, which was already offering courses in that field, the transition is the logical next step, said Dr. Wael Zatar, dean of the College of Information Technology and Engineering. He anticipates Marshall will be among the first programs in the nation to earn accreditation from the Accreditation Board for Engineering and Technology’s Computing Accreditation Commission because of the university’s already experienced faculty and comprehensive curriculum. The program will satisfy the Core Knowledge Unit requirements of the National Center for Academic Excellence in Cyber Defense. Marshall’s College of Information Technology and Engineering has 10 faculty members with experience in the field and will add new courses to those that its computer science students have already been taking. The program aims to help the workforce prevent, mitigate and respond to cyber security threats. In this fully integrated world, industries from health care to personal banking to state and local government and others need well-trained professionals to keep their data secure, and Marshall’s graduates will be fully prepared, Zatar said. Marshall University’s Board of Governors has approved the College of Information Technology and Engineering’s plans to leverage its already existing resources in the Weisberg Division of Computer Science to start the program in the fall semester of 2018. Zatar expressed plans to launch a master’s program in Cyber Security beginning in the fall of 2019. The effort is one more example of Marshall’s commitment to strengthening the state’s workforce and economic opportunities, said President Jerome A. Gilbert, co-chair of the Alliance for the Economic Development of Southern West Virginia. 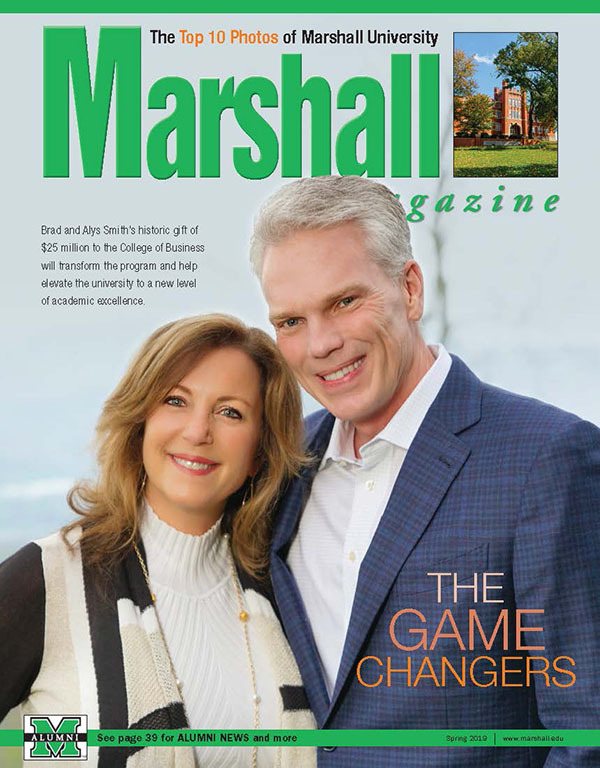 “We at Marshall are thrilled to fulfill this need and embark on this new avenue, ensuring our graduates are key players in an ever-changing economy,” he said. For more information about the computer and information security bachelor’s degree program, contact Zatar at 304-696-8864.